Stay and play at Kauri Cliffs, New Zealand's premier golf destination. Indulge yourself and experience the finest in luxury accommodation, while enjoying spectacular panoramic views and playing the 6510 metre long Par 72 David Harman designed championship course. Return to Auckland, staying in 5 star luxury at the Sofitel, Hilton or Pullman in Auckland and play the big four marquee golf courses of Titirangi, Gulf Harbour, Wainui plus a complimentary round at Windross Farm, venue for the 2017 LPGA McKayson New Zealand Womens Open. 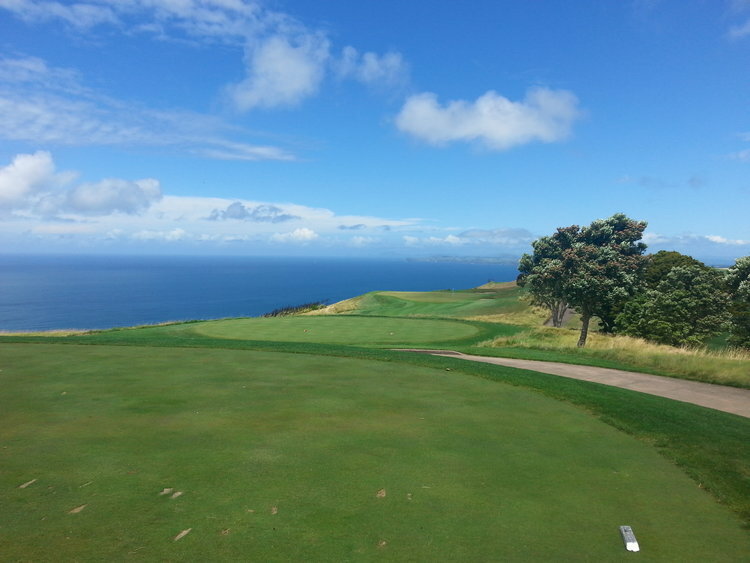 Interested in a complimentary round at Kauri Cliffs? We want to hear from you - complete our 2019 online international client survey - click here - and be in with the chance to win a free round at Kauri Cliffs during the 2019/2020 summer! Option to play in the Premium Golf NZ Summer Series! This tour can be customised to include other courses, accommodation alternatives, sightseeing excursions, other golf regions, exclusive clubs, a Waiheke Island Wine Tour or other desired activities. See our New Zealand Signature Collection of tours here. Spend 7 days straight at Kauri Cliffs instead (Nb: itinerary price will be different) and play 4 other great Northland courses - Waitangi, Carrington, Bay of Islands Kerikeri & Sherwood Park! Choose this option and we will give you those 4 rounds for free! Book this tour for April 2019 and get free entry into our exciting Premium Cup event on April 12th. You may win the significant golf travel prize! See more details and entry requirements here. Enquire today to let us curate your personalised premium golf tour. Phone us today, use the form below or request a sample itinerary of this premium tour through our booking page. Tour available all year round except times of course coring (course dependent) and it is advisable to book now well in advance! Ranked 39th best in the world by Golf Digest, Kauri Cliffs is New Zealand's premier golf destination. The panoramic views from the ocean facing holes are spectacular and the course offers challenge for all skilled golfers. Wainui is New Zealand's newest marquee golf course. 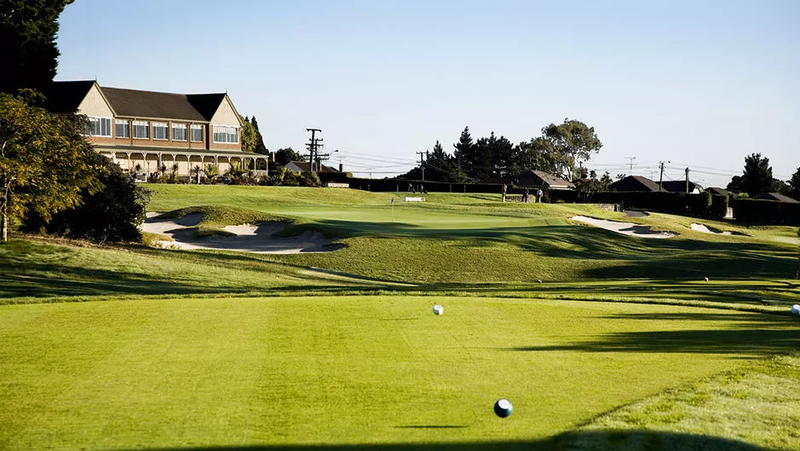 This championship course is a unique expansive valley course that offers a vastly different golfing experience from other courses. The front nine slowly eases you into a back nine that is exciting, dramatic, challenging and memorable. The vast open expansive nature of the course adds to the uniqueness. Windross Farm, located in southeast Auckland, is an inland links style course that hosted New Zealand's inaugural LPGA event, the McKayson New Zealand Womens Open. Spread over lush green countryside, this rural golf setting is peaceful, tranquil and the undulating nature of the holes makes this course a real pleasure and to walk and play. Experience New Zealand, an unrivalled paradise of natural beauty, world class golfing, executive level transport, luxury accommodation, and supreme cuisine and wine.